In small bowl, beat vinaigrette ingredients with wire whisk until smooth. 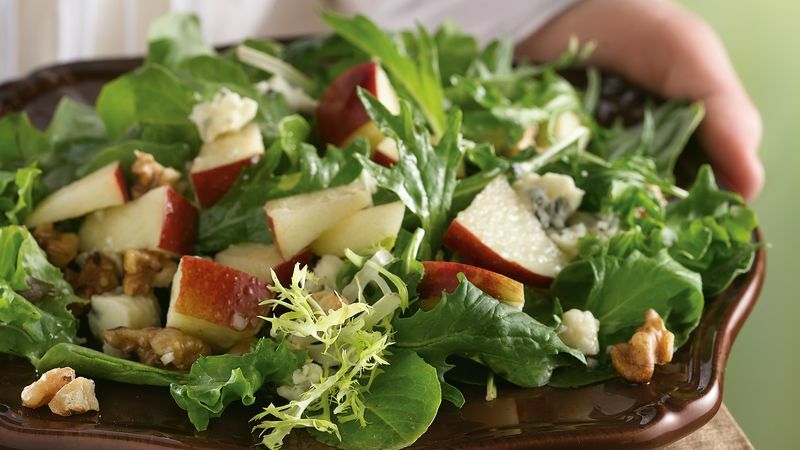 In large bowl, toss salad ingredients with vinaigrette just before serving. To toast nuts, heat oven to 350°F. Spread nuts in ungreased shallow pan. Bake uncovered 6 to 10 minutes, stirring occasionally, until light brown.